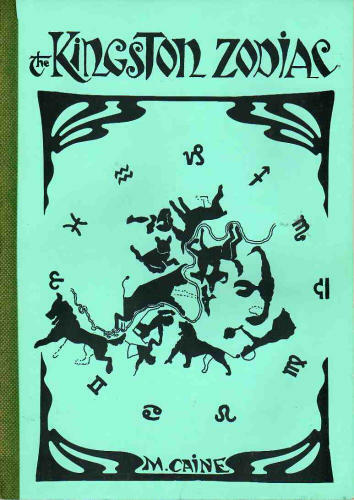 Mary Caine is well known for her expertise regarding the Glastonbury Zodiac. When a perceptive friend suggested that she should investigate her home area of Kingston Upon Thames for a terrestrial zodiac, her immediate reaction was “Too much”. However, Mary couldn’t help noticing traditional pub names – Ram, Bull, White Hart, Griffin, Three Pigeons, Druid’s Head, North Star etc (though some of these have now changed for the worse!). Further investigation into local customs and folklore led Mary to conclude that there is indeed a zodiac at Kingston, quite possibly linked with the Arthurian legends by the appearance of Bleise/Blaise, Merlin’s mentor, in the centre of the zodiac. The text is well-researched, authoritively argued and well illustrated. A fascinating and thought provoking read with many revelations. Hi Rosemary, Sadly Mary Caine passed away 4 years ago. 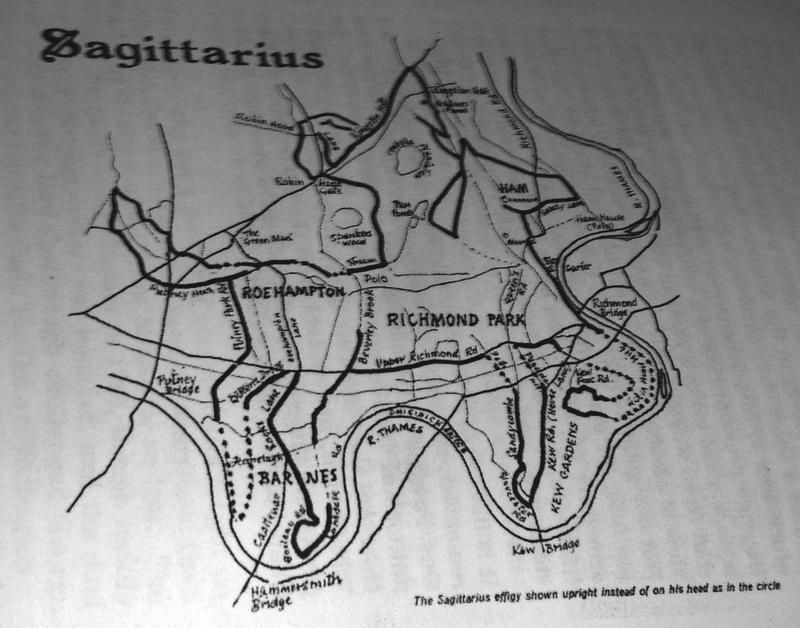 I’d recommend purchasing the book ‘The Kingston Zodiac’ that includes the signs of the zodiac overlaid onto the local maps of the area. I’d also highly recommend a trip to the Isabella Plantation in Richmond Park. I visited it a couple of weeks ago so not sure if the rhododendrons and azaleas are still in full bloom. We’ll be posting an article on this including a slideshow of the photos we took shortly. The gardens form the heart of Sagittarius the hunter.